In Texas, along with a handful of other states, 17-year-olds accused of criminal offenses are automatically tried as adults. 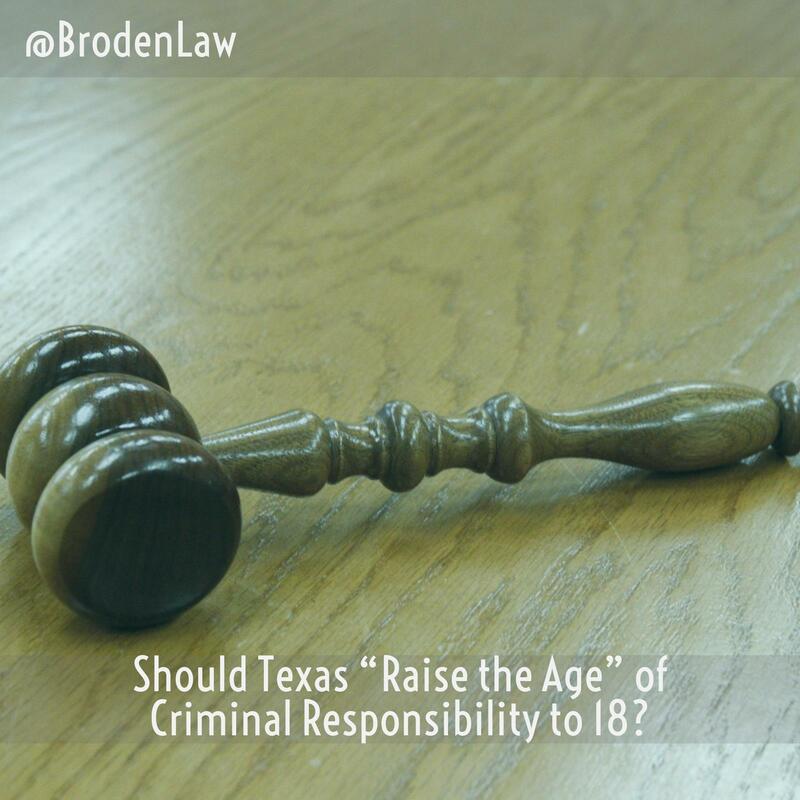 Texas lawmakers have introduced two bills that propose raising the age of criminal responsibility from 17 to 18. If the proposed laws are passed, Texas will join the majority of states that have lifted their criminal responsibility ages to 18. In April 2017, New York governor Andrew Cuomo signed in a law that raises the state’s age of criminal responsibility from 16 to 18. Previously in New York, 16-year-old offenders were housed in the same facilities as adult criminal offenders. Teenagers were also prosecuted in the adult system, which meant they received a criminal record if convicted. Under the new law, 16-year-old and 17-year old criminal defendants accused of misdemeanors will have their cases diverted to judges in the family court system. Teen defendants will also get access to special training and social services programs. Teens accused of nonviolent felonies will be tried in special “youth part” courts in criminal court. Finally, defendants under age 17 will no longer be held in county jails. When the last phase of the new law goes into effect, 18-year-olds will also no longer be held in county jails. According to a New York Times article, North Carolina is the only state left in the country that prosecutes 16-year-olds in the adult criminal justice system. A few states, including Connecticut, Illinois, and Vermont, are considering raising the age of criminal responsibility to 21. Criminal justice experts have stated that treating teenagers as adults in the criminal justice system is detrimental for both the young people involved and the states. Scientific studies show that the juvenile brain is structured differently than the adult brain. Research supports the idea that teens accused of crimes benefit more from intervention and education than they do punishment and imprisonment. Sadly, teens who can’t make bail can be held so long in jail that they end up expelled from school for non-attendance. Proponents of “raise the age” laws also point to the added costs that come with housing teen criminal offenders in the same facilities as adults. Because many jails and prisons require teen defendants to be kept in separate areas of the facility, prison administrators must often designate an entire cell block for just one or two teens. This creates extra costs that put pressure on state budgets.